Thomas G. Sanders, 91, of Lancaster PA., died peacefully on Nov 19, 2017 after a brief illness. Tom was born in Stillwater, OK, son of Margaret (Boylin) and Jesse T Sanders. During WWII he served in the European Theater as a PFC US ARMY Infantry. He earned both a bachelor’s in foreign service and master’s in economics from Georgetown University, primarily working as a market research analyst in the steel industry starting at US Steel in Pittsburgh, PA where he met his beloved wife, Lucille. The majority of his career was spent at Youngstown Sheet & Tube, in Youngstown, OH, followed by positions at Jones & Laughlin in Pittsburgh and LTV Steel in Cleveland. After retirement he and Lucy enjoyed traveling the country in their RV, and ultimately retired to Woodcrest Villa in Lancaster. Tom had a passion for music and was an excellent clarinetist playing into his 80s. 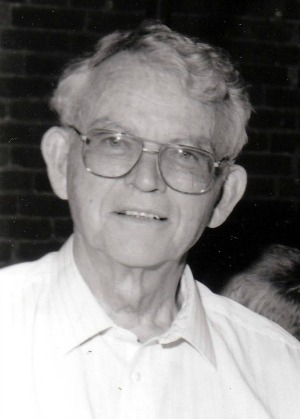 He played with the New Holland Band for many years, and performed in church and gave recitals for family and friends. Tom was preceded in death by his wife of 56 years, Lucille, and sister Martha Dozier. He is survived by his sister Mildred Goldthorpe of Petaluma, CA, and his four children; Barbara Folb (Henry), Patricia Smith, Margaret Reichard (Neal), and Jesse Sanders (Betsy); eight grandchildren, and three great grandchildren. Relatives and friends are invited to attend a Memorial Service on Saturday, November 25, 2017 at 3:00 P.M. at Church of the Apostles United Church of Christ, 1850 Marietta Ave., Lancaster, PA 17603, with the Rev. Kathryn Kuhn officiating. The family will greet friends from 2:00 PM until the time of the service. Interment will be private at the convenience of the family in the Memorial Gardens at Church of the Apostles U.C.C. In lieu of flowers, contributions in Tom’s memory may be made to Lancaster Lebanon Habitat for Humanity, 443 Fairview Ave. Lancaster, PA 17603. I can’t believe he has passed. He was such a powerhouse of whit and knowledge. I know he loved you all. His sister Milly, my Mom, is deeply saddened. Barbara Folb and family, so sorry for your loss. Your father seems like he was a remarkable man who lived a long and full life with his military service, his career, his four children, eight grandchildren, three great grandchildren, and a wife of 56 years. Wish I had ever had the chance to meet him. In reading his obituary Barbara, I remember that you once told me that he was also a fellow clainetist and clearly he passed his musical talents on to you, which so many of us have benefited from. I will always have very fond memories of your folks as they welcomed me into their home throughout my college years. They were the closest I had to a mom and dad away from home. I am so privileged to have spent time with both of them. Our condolences to the entire family. Tom and sister Milly were like two branches from the same tree! He will be missed. We had many great times with Tom and Lucy while they were in the Cleveland area. Attending church events, having dinner at each other’s homes and going to a variety of social events together are lasting memories. We appreciated Tom’s sense of humor and Lucy’s handcrafting skills. We missed them when they left our area, but kept in touch. What a joy their 50th anniversary celebration was when we got to meet you, their children, and grandchildren. They were both very proud of each of you. Our thoughts and prayers are with you and we rejoice that Tom and Lucy are together again.